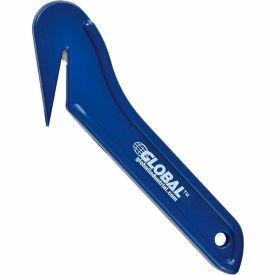 Hand Held Stretch Wrap Dispensers Makes it Easier to Use Hand Stretch Wrap for All Packaging Applications. 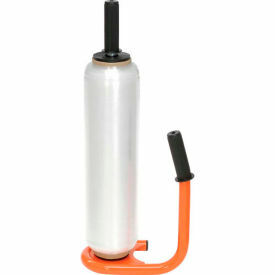 Hand held stretch wrap dispensers provide even wrapping with consistent tension for superior packaging and wrapping, typically reducing the amount of stretch wrap material needed to secure loads. 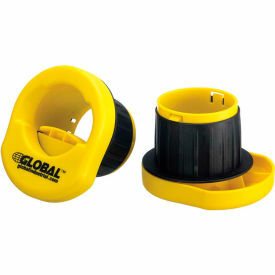 Stretch Wrap Dispensers are lightweight and compact for quick roll changeover. No operator training or tools needed. Stands upright, saving stretch wrap from tipping damage. Stretch wrap dispensers are great for securing palletized loads and can be used with Cast, Blown, Pre-Stretched and Netted films. Choose a Dispenser that will accept a broad range of wrap sizes to give your employees more flexibility with packaging supplies that can be used with the dispenser. Mobile Stretch Wrap Systems Simplify Wrapping and Packaging for Large Palletized Loads. Mobile stretch wrap systems have casters to allow units to be moved to any location in the warehouse or fulfillment center for wrapping needs.Tubular steel handle provides convenient maneuverability and handling. Manual style has a preset tension control and on/off brake for full control of film stretch. Heavy-duty structural steel frame and foam-padded, adjustable steering handles ensure durability. Film holder positions film up to 78"H. Wraps as low as 1" from floor. Handles rolls from 10" to 72" for load economy. 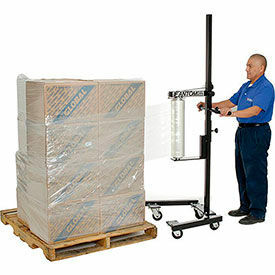 Motorized Lift style provides flexibility to apply stretch wrap film at any work station. Electronic touch sensitive controls and battery powered lift moves film wrap up and down as operator simply walks around the packages. Ideal for wrapping large and tall packages that cannot be wrapped on standard carousel stretch wrappers. Easy reload film system and upright design. Wrap heights are 75" and 88". Color finishes are Black and Gray. Dimensions vary per model.